Prof. K.T. 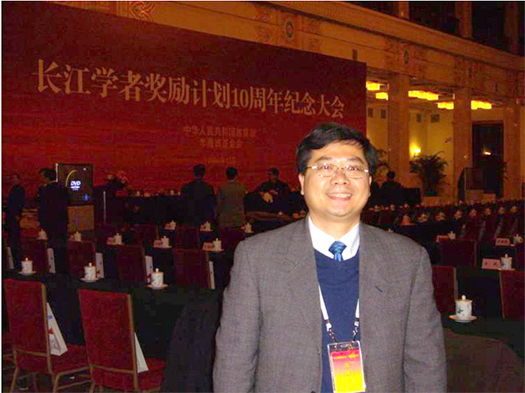 Chau attended the Chang Jiang Scholar Program 10th Anniversary Ceremony which was held in the Great Hall of the People, Beijing on 5 December 2008, and was conferred the Chang Jiang Chair Professorship by the Ministry of Education, China. This Professorship is one of the most prestigious academic awards in China, aiming to attract overseas academics to lead research activities in mainland universities. In the coming years, Prof. Chau will lead the research of electric vehicle technology in the Southeast University in Nanjing.